My last post involved a mama owlbear and her cubs. When you write as many encounters as I do, you have to provide some descriptive text to make one monster encounter feel different from another. 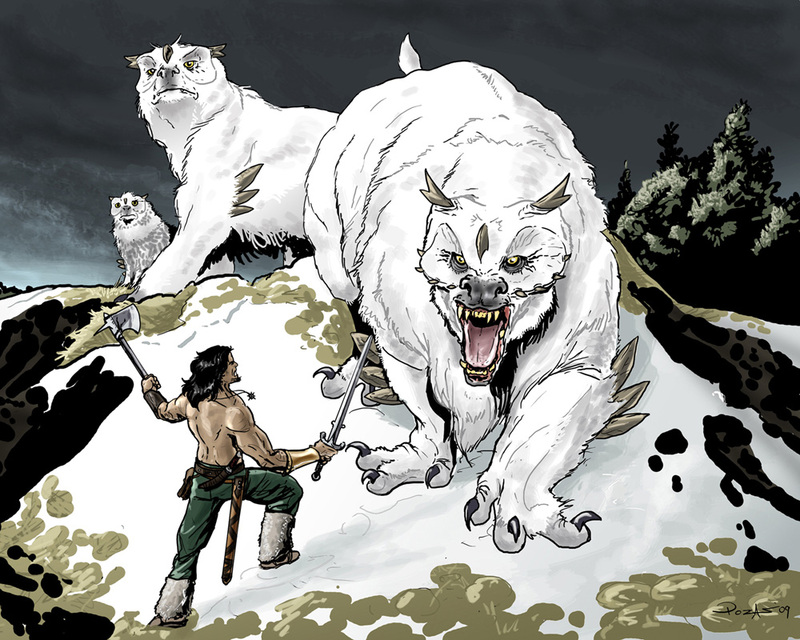 In the case of the owlbear, I described it as a “great horned owlbear”, meaning it has the head and face of a great horned owl on a bear’s body. With that in mind, I present this little table to roll up a random owlbear. Just roll d12 for a body and d12 for a head. If you want to know what a sun bear or elf owl look like, use Google or Wikipedia. The S, M and L refer to the size of the animal. For every “L” in an owlbear, it gains +1 hit dice and +1 to damage. For every “S” in an owlbear, it loses 1 hit dice and +1 to Armor Class. And since owlbears are supposed to be magical hybrids, feel free to throw some weird special abilities in. Maybe a stygian owl-headed owlbear has some demonic powers, or a sun bear-bodied owlbear can radiate intense light. Surprise your players – they love that kind of thing. Really. Image is by Claudio Pozas for the Owlbear challenge run by the ArtOrder blog. Love it. Owlbears have always been one of my favorite monsters, but they were starting to feel a little over-used in my games. It's about time they had a make-over. didnt the owl bear make its first appearance in a lost in space episode ? Cool, a simple way to breath some life and variety into an old monster. As popular as this post has been, I guess I need to follow up with “A Duckbunny for Every Occaision”.